At least – in days gone by – it was in our family. Early on our daughter Amy decided to become a vegetarian. Our son Brendan was constantly hungry, but he wanted meat meat meat and starch starch starch – and he wanted it now. Bonney and I were omnivores, but we definitely had preferences. As I fixed food for these three divergent appetites, I longed for the days of yore, when my mother would say, “If you don’t like what’s on the table, then I guess dinner’s over for you,” and my father would say “your Mother worked to put that food on the table, I worked to buy it, now you work at eating it.” Nobody disagreed much with either of these forces of Nature in the old days. Kids (and parents) today are a little different in their relationships around food. So I searched and searched, trying this, trying that – trying anything I could to find a food that was reasonably nourishing, and would appeal to everybody in our family. Today, we have legions of experts who want to tell us how to eat, what to eat, when to eat. . .it constantly astonishes me that thousands of generations of humanity have somehow managed to struggle their way forward without benefit of these dietary mavens. One day, some time ago, I had lunch at a little local Greek eatery – Costas Opa in the Fremont district of Seattle. Costas Opa has been dishing up classic traditional Greek food along with belly dancing and live Greek music since 1981 – their longevity alone says something about their food to me. They’d only been in business a paltry 10 years or so when I discovered them. I enjoyed their usual assortment of Greek food – which I find one of the most comforting cuisines to eat – spanikopita, stifado, moussaka, souvlaki – I loved ’em all! Then, by chance, I ordered one of their combo plates. It came with a little cup of soup – undistinguished, maybe a little yellow in color, with a haphazard sprinkling of finely minced parsley on top. Spoonful. Smile. Big smile. Another spoonful. Cup gone, considered ordering bowl, but was able to restrain myself with some effort. “What’s this,” I asked my server, pointing at the little licked-empty cup. “Avgolemon soup,” he said, “It’s a classic Greek dish – everybody eats it.” OK, well, now I was a part of EVERYBODY. Excellent!! I went back to work, but kept musing on this soup. It was chicken broth, but our daughter wasn’t *that* strict a vegetarian. It has a powerful flavor kick that would probably appeal to our son. And, I mused, if made with the right amount of rice, it would be almost like a congee – a very simple congee. I knew my wife would like it – it was simple and clean tasting – and I already knew I loved it. So – an Aha! moment – I began researching it. Wow! There are a *lot* of recipes for Avgolemono (today, a simple Bing search on “Avgolemono recipe” delivers over 87.000 hits!!) – ranging from incredibly simple to feast-like extravaganzas. I decided to give these latter a miss – I was going for simple, clean and filled with bright flavor. Fast forward. There. No, a little faster. I’ve been making this soup for well over a decade in this form. It’s the single thing I know I can make that my entire family – and now, our extended family – will eat without kvetching. In fact, both our children – now fully grown “novice adults”, as I think of them – sometimes come by and ask me to make this soup. That warms the cockles of my heart. As I’ve come to make it, this soup is extremely fast and easy to prepare, uses but four ingredients, a single aromatic and is both comforting, filling and nourishing. 64 oz rich chicken broth. If I don’t have any homemade chicken broth around, I find the broth that comes in the 32 ounce steri-pak cardboard boxes is an excellent and nearly-indistinguishable substitute. 4 whole large eggs, and 3 yolks, reserving the whites for another purpose. An egg-white omelette, for example! For an excellent overview on separating eggs, click here. 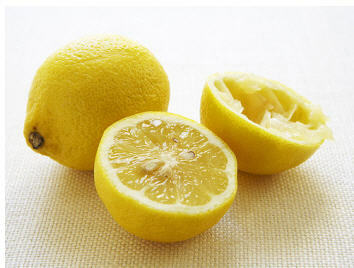 Juice the lemons, zest a teaspoonful of zest and mix together in a large bowl. Add the eggs, egg yolks and nutmeg to the lemon juice/zest and beat very thoroughly with a whisk or fork. Set aside. Add the broth to a pot, and add the rice to the broth. Bring the broth to a very low boil, then reduce to a simmer and simmer uncovered until the rice is just cooked. The soup will thicken up a bit as the rice cooks. When the rice is cooked take the soup off the heat, take a ladle and put a ladle’s worth of soup into the egg/lemon mix, mixing briskly with a fork. This tempers the eggs and will help prevent their curdling when you add the lemon/egg mix back to the stock. Add the lemon/egg/nutmeg mix to the stock, stirring gently. It’s important that the stock not be boiling at all, not even really simmering – you don’t want the eggs to curdle, you want them to simple meld with the stock, creating a smooth, creamy texture. Don’t worry if you get a few strands of curdled egg at first. After a couple of times, you’ll end up with a totally silky-textured broth with no curdled eggs at all. Promise!! That’s it. You’re done. Serve in warmed bowls and, if you like, garnish with some of the garnishes above. We eat this with a slice or two of a nice crusty bread. If you’d like to drink wine with your soup – try a lighter wine – say, a decent Pinot Grigio. Tip: My cheater tip for when I don’t have homemade broth – I use Better than Bouillon (because it is!). Add about 1 Tablespoon to the broth from the steri-paks if you like for a much richer stock flavor. Or use your own stock. I have yet to meet anybody who doesn’t enjoy this soup. It’s about as simple as a soup can get, yet the few flavors merge together to create a complex, perfect taste that’s bright and clean, with a variety of textures from the silkiness of the broth to the very slight bite of the rice. Try the version in the Joy of Cooking too. Ridiculously simple and delicious. If you have boxed chicken broth on hand, it goes together in minutes. If you have some diced cooked chicken, that’s great in it also. Save the leftovers and the next day you have lemon-rice congee! The best! Ditto! So missing Costa’s Avgolemono soup. Haven’t tried this recipe yet to see- but fingers crossed that it will be similar!